Turner Security Vehicle Patrol is the most cost-effective form of security guard service. Random vehicle inspections can take the place of on-site security and still provide a superior level of protection. Many of our clients tell us that they reached out to us because they see our Turner Security patrol vehicles everywhere! That’s because we have one of the largest security vehicle fleets around, with more than 50 vehicles carrying Turner security guards on their rounds. Perhaps you’ve seen us at LINK River Park, Fig Garden Village, or Sierra Vista Mall. Roving units are a very cost-effective way to provide security for your business property. Apartment complexes, shopping malls, farms, packing sheds, construction sites, and restaurants are just a few of the kinds of businesses who can benefit tremendously from vehicle patrol and security. We can provide your property with several random vehicle patrol inspections in a marked patrol vehicle, during the times and days of your preference. During these hours, the security officer will carry out the post instructions that you prefer, in accordance to your property’s specific needs. 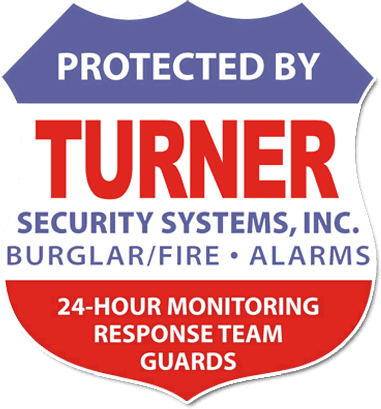 Turner Security will provide your property with one marked onsite vehicle patrol officer, during the times and days of your preference. During these hours, the security officer will continuously patrol around your property and will carry out the post instructions that you prefer, in accordance to your property’s specific needs. Turner Security Systems utilize a computer-based electronic tour monitoring system known as the “Guard One Time Management System” for clients requiring patrol verification methods. This system has been very successful in ensuring the inspection of specific property locations at regulated intervals by the placement of dime-sized buttons that can be assigned to key areas at your discretion. Turner Security Systems utilize a computer based electronic GPS monitoring system for clients requiring patrol verification methods. This is the state of the art Vehicle Patrol monitoring system that is monitored by our 24 hours dispatch enter, ensuring the inspection of specific property or location. The system uses a quarter size location button that can be assigned to key areas at your discretion. The security officer utilizes a mobile GPS device that is carried with (him/her) at all times. The system alerts the officer that has registered the inspection of the location and sends this information directly over the internet to our dispatch center. The information is then stored in the software.